NEW YORK — The Company that runs the Nasdaq stock market said Saturday that hackers had penetrated a service that handles confidential communications between public companies and their boards. 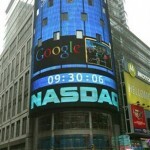 The service run by Nasdaq OMX Group Inc. carries strategic information for about 300 companies. The company said it appears no customer data was compromised. Nasdaq OMX said the hacking attempts did not affect its trading systems. 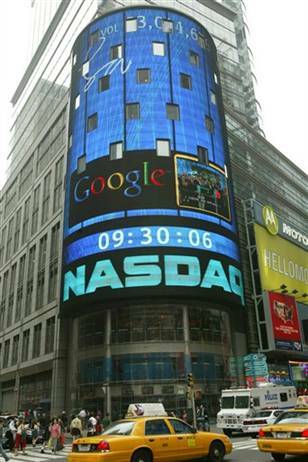 Nasdaq is the largest electronic securities trading market in the U.S. with more than 2,800 listed companies. The targeted application, Directors Desk, is designed to make it easier for companies to share documents with directors between scheduled board meetings. It also allows online discussions and Web conferencing within a board. A federal official tells The Associated Press that the hackers broke into the systems repeatedly over more than a year. Investigators are trying to identify the hackers, the official said. The motive is unknown. The official spoke on condition of anonymity because the inquiry by the FBI and Secret Service is continuing. Nasdaq OMX spokesman Frank DeMaria said the Justice Department requested that the company keep silent about the intrusion until at least Feb. 14. However, The Wall Street Journal reported the investigation on its website late Friday, prompting Nasdaq to issue a statement and notify its customers. DeMaria said Nasdaq OMX detected “suspicious files” during a regular security scan on U.S. servers unrelated to its trading systems and determined that Directors Desk was potentially affected. It pulled in forensic firms and federal law enforcement for an investigation, but found no evidence that any customer information was accessed by hackers. Nasdaq acquired the company behind Directors Desk in 2007. In 1999, hackers infiltrated the websites of Nasdaq and the American Stock Exchange leaving taunting messages, but Nasdaq officials said then that there was no evidence the break-ins affected financial data.